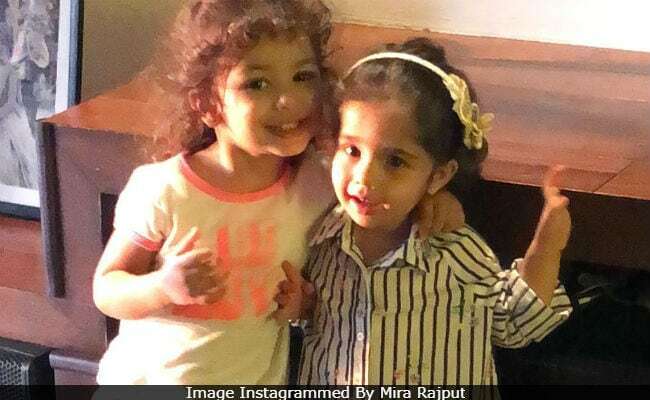 Shahid Kapoor and Mira Rajput's two-year-old daughter Misha looks so adorable in the latest picture shared by her mom. Mira lit up Instagram on Wednesday evening by posting a picture Misha and her bestie. Dressed in a white top and denims, Misha gives a side hug to her friend, as the both pose cutely for the cameras. "Sugar and spice and all things nice. That's what little girls are made of," Mira captioned Misha's picture, adding the hashtags 'BFFs' and 'You Can Sit With Us.' Apart from Shahid, the post has been liked by celebs like Ishaan Khatter (his brother), Tara Sutaria, Dia Mirza and others. 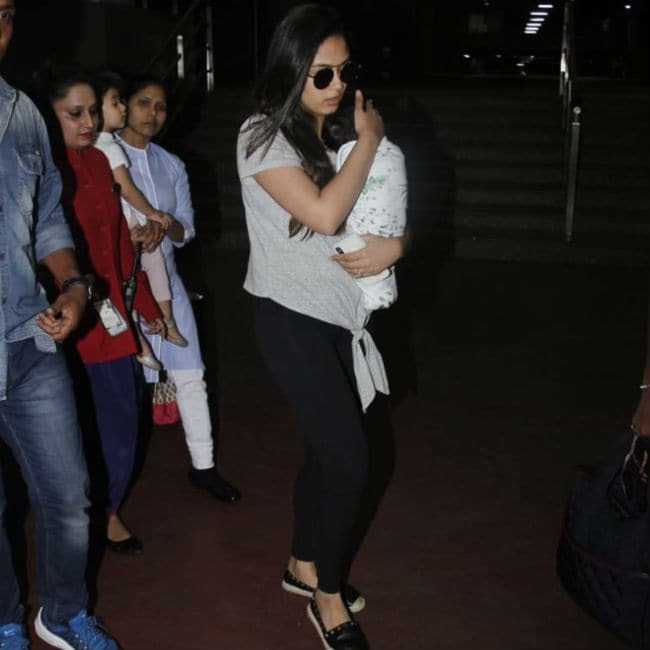 Just a day ago, we spotted Mira, Misha and baby Zain at the airport. Their pictures made to the top trends and were all over the Internet. Mira shielded Zain from the paparazzi and Misha was cradled in her nanny's arms. Here are the pictures. 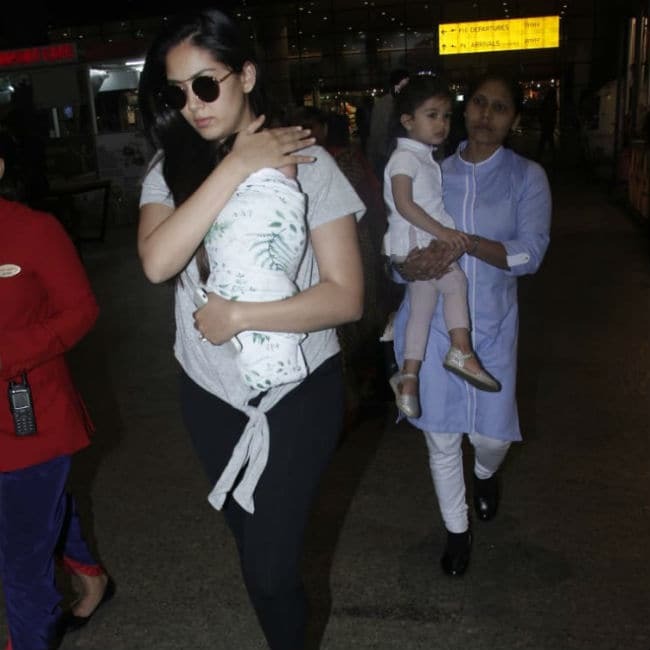 Shahid, busy with filming the remake of Telugu film Arjun Reddy, wasn't photographed with the family. Shahid Kapoor and Mira Rajput, who married three years ago in July, welcomed Misha in August 2016 and Zain was born this September. After his birth, Shahid announced that he and Mira have decided to name their son Zain. "Zain Kapoor is here and we feel complete. Thank you for all the wishes and blessings. We are overjoyed and so grateful. Love to all," he tweeted. Last seen in Batti Gul Meter Chalu, the Arjun Reddy remake is Shahid's next film. He also has the remake of Woh Kaun Thi? and a biopic on boxer Dingko Singh in the pipeline.